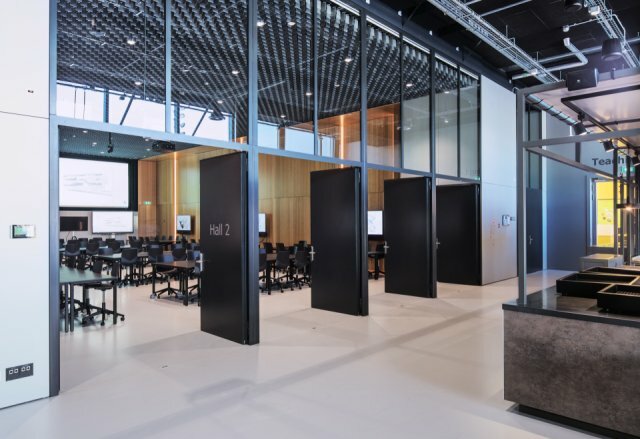 The year-on-year growth in student numbers at Delft University of Technology, combined with the need for more flexible and a different type of learning spaces, has prompted the development of the new educational building Pulse. In addition to the library and the assembly hall, it is one of the university’s interfaculty buildings. Pulse is the place to be for modern activating education on campus and supports students and lecturers of all faculties in various educational formats. The design of the building was created by Rotterdam based Ector Hoogstad Architects in collaboration with lecturers and students. Not all environments are equally suitable for this. The point is to create environments that bring people together in a meaningful way. That requires specific spatial conditions; spaciousness, atmosphere and connection are important themes in our work. Pulse is the first zero energy building on campus and has an EPC rating of A++++. With an annual output of 150,000 kWh, the 490 solar panels (750m2) installed on the roof generate enough energy to provide electricity for the entire building. 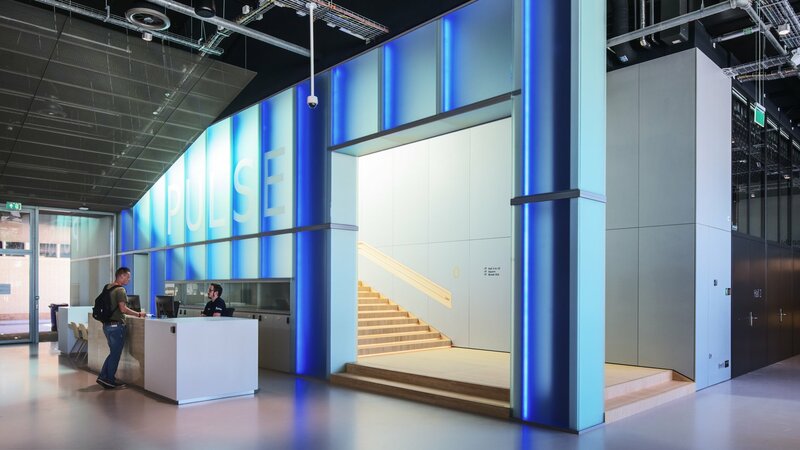 Pulse also uses underground thermal energy storage and features high-performance insulating glass. 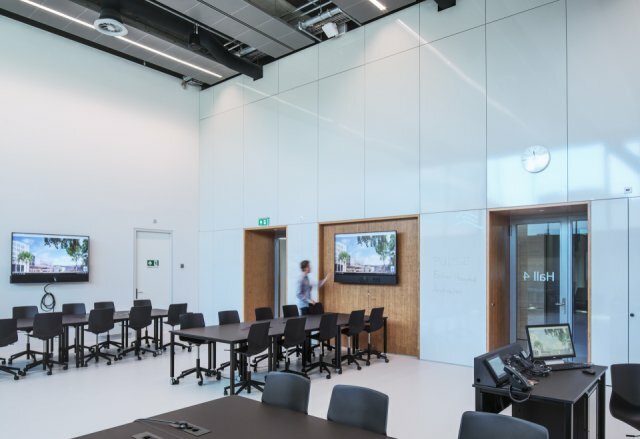 An intelligent building management system controls the ventilation, lighting, cooling and heating in accordance with requirements per individual space. The façade openings have been designed to make the most of natural daylight, which reduces the need for artificial lighting and thus saves energy. Ector: “This learning environment is a prime example of what you could call a knowledge landscape, which is precisely what our practice specialises in. 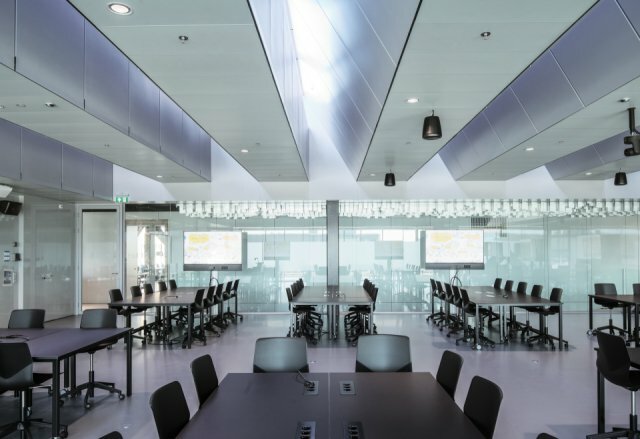 We design environments where knowledge creation and sharing take centre stage. In creating the Pulse building, Ector Hoogstad’s interior designers worked closely with Bolidt. Ector: “Working with Bolidt is always a positive experience. 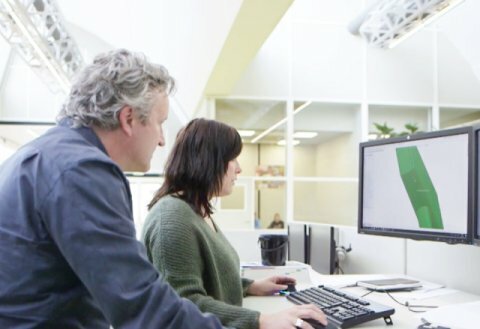 If we have questions during the design phase or anything else, they will get on it right away. 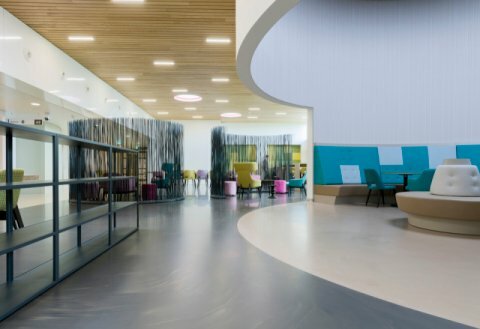 Since it was established in 1964, Bolidt has focused on replacing traditional materials in order to make a contribution to a better living and natural environment in the areas of safety, durability, energy & data, design and hygiene. Bolidt has extensive experience in the education sector and has the right flooring system with specific properties for every space. Think, for instance, of impact and wear resistance, safety and hygiene, but also of chemical resistance and even ESD-safe flooring. All floors are available in a range of attractive colour options. Because the floors are seamless, anti-fungal and hygienic, they contribute to a healthy indoor climate in accordance with government guidelines on the indoor environment in schools.